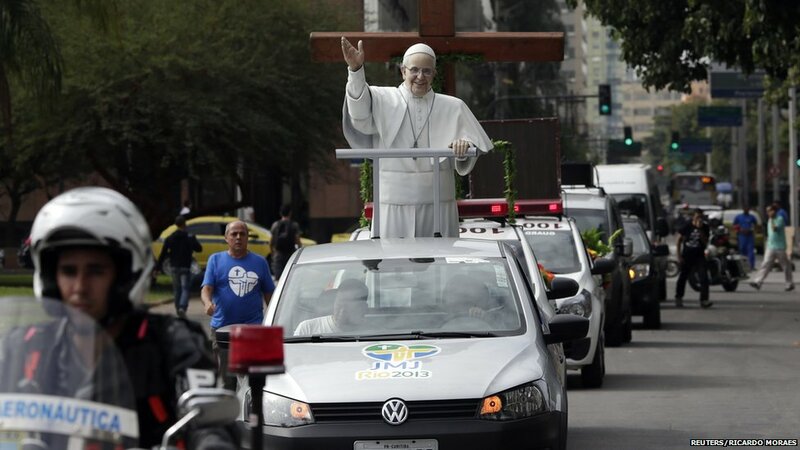 During the 2013 World Youth Day celebrations in Rio de Janeiro, Brazil, Pope Francis exhorted the youthful pilgrims to “I want you to take to the streets. 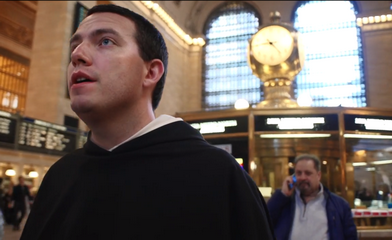 I want the Church to take to the streets.” BlackFriar Films, a project of the Dominican Friars based in New York City, interpreted this call to the New Evangelization by taking a different approach to the Christian patrimony and take it to the streets. In the "Come My Way, My Truth, My Life" video, Fr. Austin Dominic Litke, O.P. sings the traditional Anglican hymn on the streets of Manhattan and the Brooklyn Bridge while donned in his medieval Dominican habit. The initial juxtaposition of ethereal beauty with the backdrop of the frenetic city which seemingly never sleeps underlines the timeless message which the George Herbert poem (1633) is based. Such a way as gives us breath;Such a truth as ends all strife,Such a life as killeth death. Come, my Joy, my Love, my Heart:Such a joy as none can move,Such a love as none can part,Such a heart as joys in love. By exposing youth to the beauty and truth to Christian tradition, Dominicans have experienced a boom in vocations. Moreover, breathing life into tradition by taking it to the streets makes it contemporary and contemplative.